Fair Agenda is a movement for gender equality in Australia. 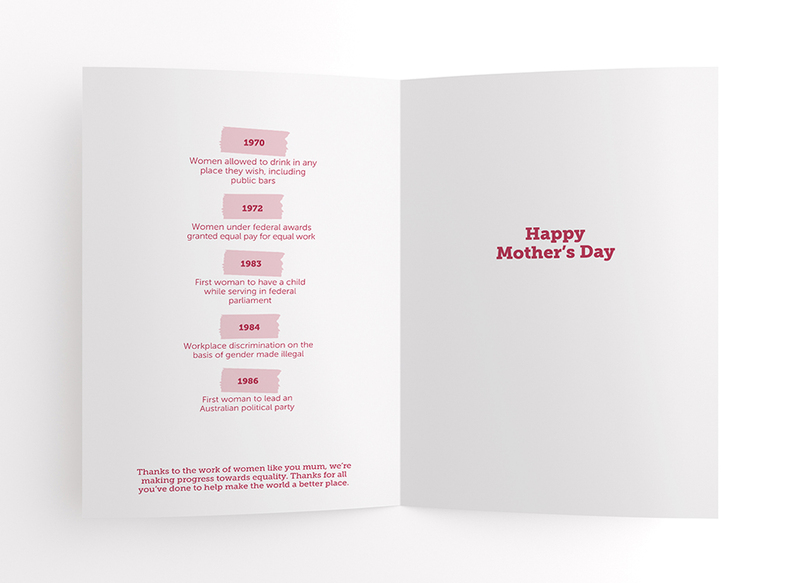 This mothers day, they wanted to soften their brand and expand it into a range of supporting collateral – in this case telling the story of women’s rights throughout the decades. 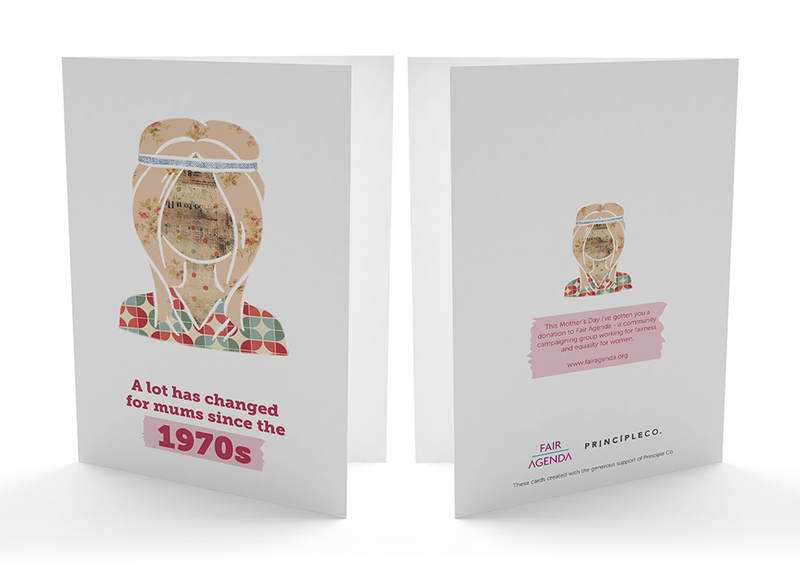 With no imagery to use and with cultural sensitivities to adhere to, we took the existing Fair Agenda colour scheme and developed a range of illustrations that could communicate the message.